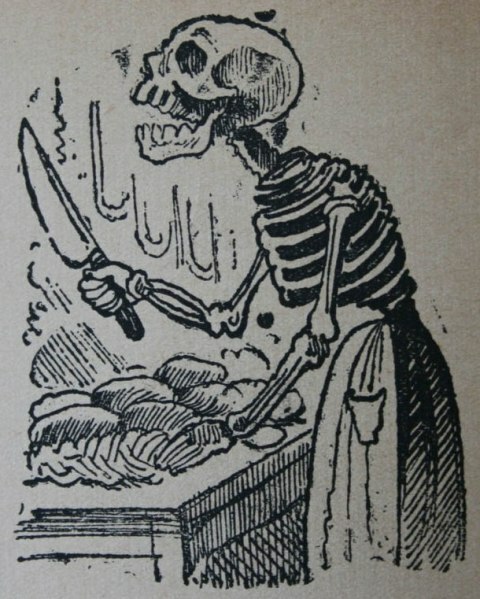 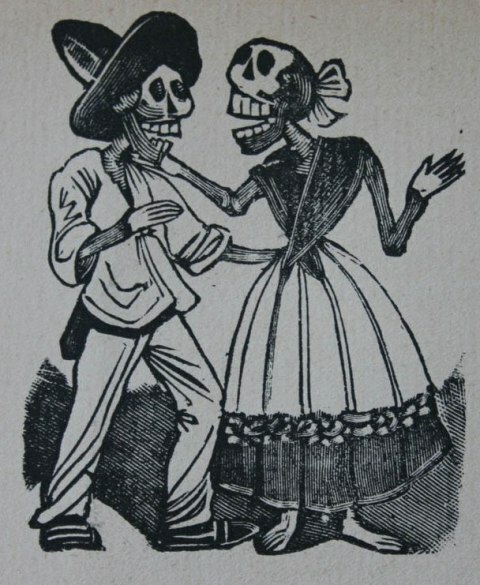 The etchings of José Guadalupe Posada (1852-1913) demonstrated a worldview that was, and often still is, profoundly Mexican. 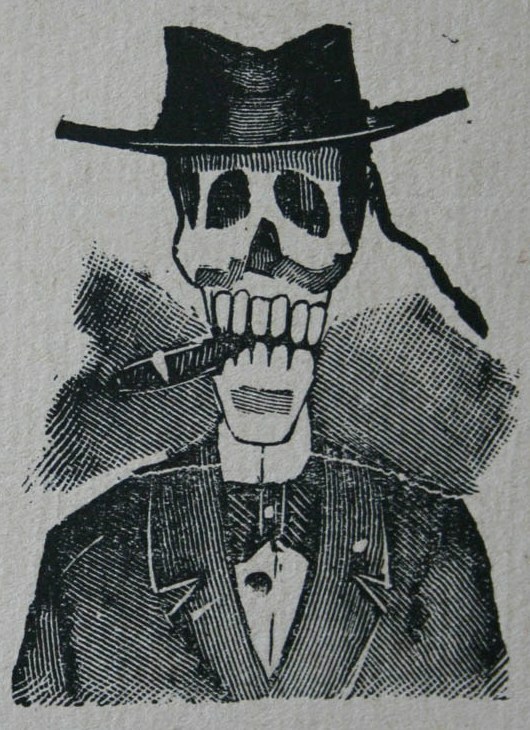 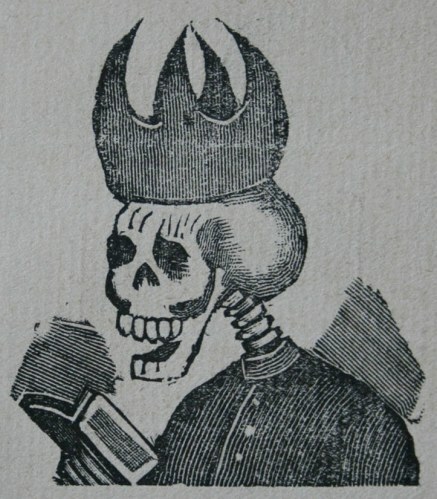 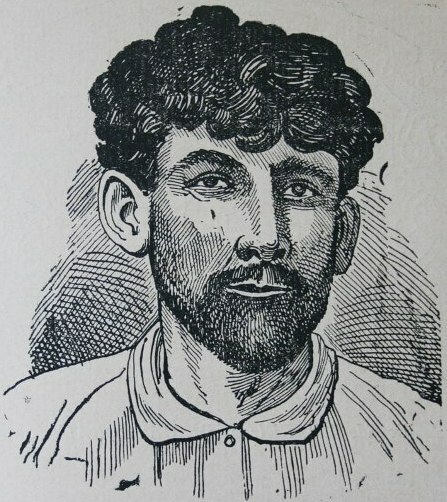 A commercial illustrator who also printed political broadsides, Posada invented the ‘calavera’ portrait. 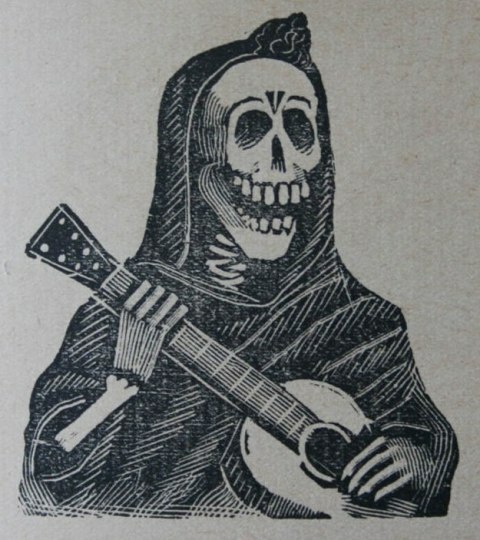 Calavera means skull, and by extension, skeleton. 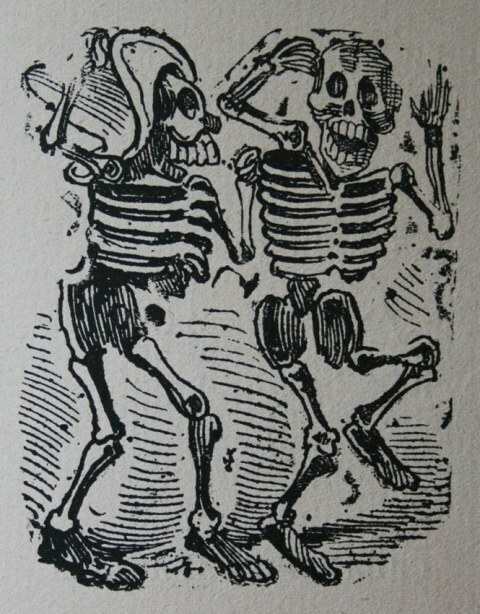 Aspects of the nation’s Indigenous heritage (skulls and death-goddesses were central to Aztec and Maya cultures) plus its Spanish cultural inheritance (death-oriented monastic orders, the ‘dance of death’ and ‘memento mori’ traditions) combine in Posada’s rustic yet sophisticated prints to give us the flavour of the average Mexican’s stoical yet humorous appreciation of Death. 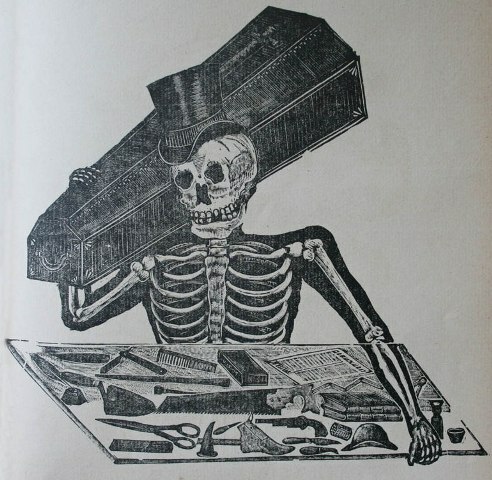 To read a description, allow your ‘mouse’ to hover over each image.